Liberal Car Accident Lawyer - Patterson Legal Group, L.C. There is nowhere on earth quite like Liberal. Liberal’s roots in Kansas history give it a rich cultural history and make it a great city to live. However, like the rest of Kansas, it is necessary for most residents of Liberal to travel by car daily to get from place to place. Car accidents in Liberal are unavoidable and many occur every year. The causes of an accident can vary widely, and the accident could be the result of driver negligence, driving conditions, alcohol or drugs, faulty vehicle parts. If you’ve been injured, a Liberal car accident lawyer can help investigate the cause of your accident to make sure you are paid for your injuries. If you or a loved one have suffered injuries in a car accident, you are already aware how a car accident can have a serious effect on an accident victim and their entire family. Many who are seriously injured, find themselves permanently disabled and in need of a Liberal car accident lawyer. If you or a loved one have been injured in a car accident, whether in Liberal , or throughout Kansas, the car accident lawyers at Patterson Legal Group, LC will fight to get you money you deserve for your claim. Why Do I Need a Liberal Car Accident Lawyer for My Claim? Insurance companies often try to make even the smallest Liberal car accident claims difficult. An insurance adjuster will work on your behalf, but they also represent the best interests of the insurance company. Insurance adjusters on behalf of their insurance company, which requires them to balance your interests with the interests of the insurance company. With a Liberal car accident lawyer, you have someone entirely on your side who is looking after your interests alone. We offer a free consultation if you have questions about whether or not you may have a claim and if representation will be helpful for you. CALL 1-888-687-2400 TODAY TO SPEAK WITH A LIBERAL CAR ACCIDENT LAWYER THAT CARES ABOUT YOU AND YOUR ACCIDENT. 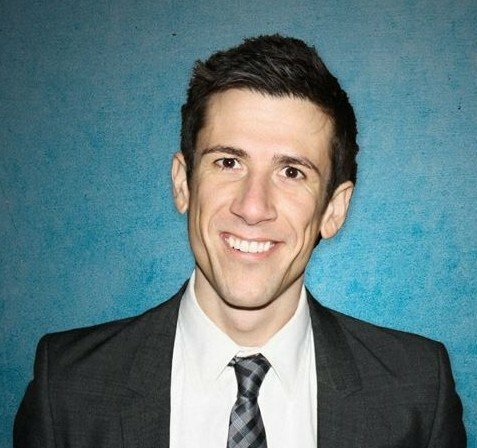 What are the Most Common Types of Car Accidents in Liberal? The most common cause of car accidents in Liberal is driver error, including: failure to yield, following too closely, driving at excessive speeds, drunk driving, and disregard of traffic signs. An experienced Liberal car accident lawyer will order your accident report and can help investigate if driver error or negligence is a factor in your case. Another significant area of car accident cases in Liberal, often appearing in the commercial vehicle setting, involves failure to properly service and maintain vehicles. This failure is becoming more common everyday. Typically, improper maintenance is due to the failure of the owner or a service company to properly maintain and service a car,truck or bus.The result of this failure can be catastrophic. For example, the failing to properly lubricate bearings on a commercial vehicle (routine maintenance) can result in the entire wheel assembly disengaging from the vehicle while driving down a road. A special group of car accidents, roadway defects, considers the design of the roadway itself. A poorly designed roadway, construction setup or debris, means of controlling traffic can cause or contribute to a serious car accident. A Liberal car accident lawyer can help investigate if a roadway defect may be present in your case. Construction on Kansas roadways must follow certain requirements. An experienced Liberal car accident lawyer will know the laws of the road. Patterson Legal Group, LC serves residents of Liberal, Kansas. Our firm has offices in Wichita and Topeka, KS. We have the resources necessary to conduct car accident investigations throughout Kansas. 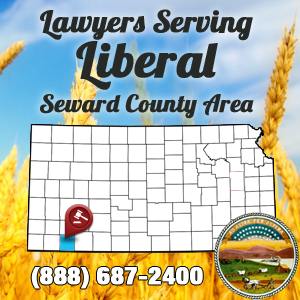 Our Liberal car accident lawyers serve throughout Seward County, with service through area code: 620; and zip codes: 67901, 67905. Visit the www.cityofliberal.org website for more information on Liberal, one of Kansas’ most culturally rich towns. A number of great museums, like the Oz Museum, and Adventure Bay make Liberal, KS a great place to live. Speak with a Liberal Car Accident Lawyer today for a free case evaluation and consultation by calling (888) 687-2400, or contact us online. Thanks to everyone! You all made the entire process easy. My hat is off to your entire team. Amie, Mary, job well done! Gary, thank you for explaining the process from start to finish during our first visit.